Some would call it an accident waiting to happen. Nicole and I call it, an investment in our sanity as parents of four highly energetic, athletic, and emotional children. 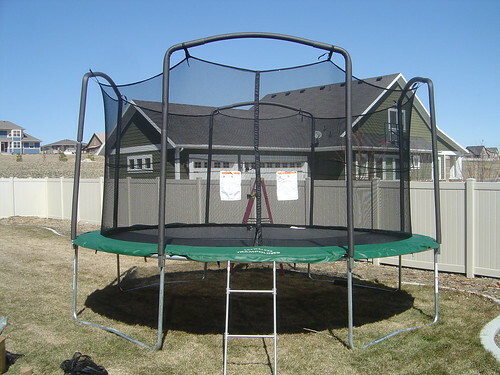 We had been debating whether or not to set up the new xtreme kids toy until Easter. But with the recent surge of sunshine and gorgeous weather, it was decided just do it. Thanks to Grandpa Weeks for the special delivery.